The federal government shut its doors last week. What was that about? Can it happen again? Explore this CLP Current Event to sort it out. CLP: Vocabulary heavy but a complete and up-to-date discussion of this 2108 shutdown. CLP: Long but helpful discussion of issues on which the parties disagree. CLP: Student-friendly but not short, so consider dividing sectors among students. Alternatively, find FAQ approaches at CBS News and the Washington Post. What is a “shutdown” What is a “government shutdown”? Why does a shutdown happen? 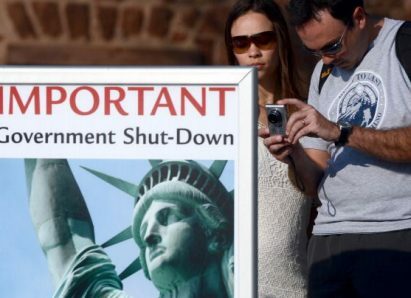 Who suffers during a shutdown? Who is responsible? Executive branch? Legislative branch? Party leaders? All of the above? Is blame helpful? Is cooperation helpful? Is compromise helpful? What is the art of compromise? Can compromise be useful on issues considered to be moral concerns? Is bipartisanship needed? What are the Bipartisan Working Group and the Problem Solvers Caucus? What is the connection between approving a federal budget and immigration policy? Is a short time frame helpful or a block to resolving a government shutdown? What does the 2018 government shutdown teach us about how government works? About how political parties work? About leadership? What is the role of the media in a government shutdown? Will the next deadline provoke another shut down? What issues need to be resolved by February 8? By March 5? Who keeps working during a government shutdown? 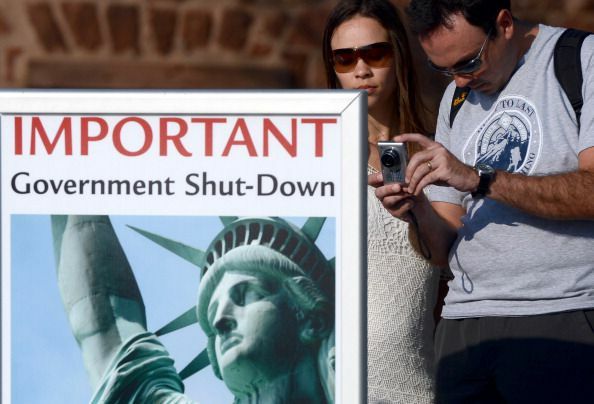 How many federal employees will be furloughed? Do furloughed employees get back pay? Which areas could be hit the hardest? How will this affect FEMA natural-disaster cleanup efforts? CLP: opinionated but one route to understand the Framers. CLP: yes, change can happen! CLP: quotes from elected officials. HS.62 Propose, compare and judge multiple responses, alternatives, or solution to issues or problems; then reach an informed, defensible, supported conclusion. Unit 4, Lesson 21: What is the role of Congress in the American constitutional democracy?